It's the quintessential card of future Hall of Famer LeBron James, it's autographed by "King James" and graded a GEM MINT PSA 10, what more can you ask for? Not since the great Lew Alcindor was a player so highly touted entering the NBA draft, and James was merely a high school senior at the time. 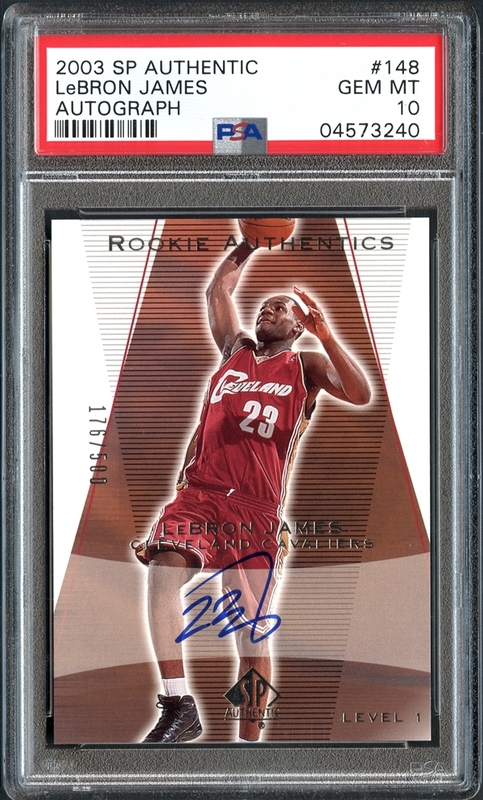 So regarded for his complete arsenal of NBA ready skills as a teenager, he skipped college with the expectation of being an immediate superstar. Fast forward 15 seasons into his career, he's within striking distance of surpassing the now Kareem Abdul-Jabbar as the all-time point scoring leader while making it the NBA finals a mind-boggling nine consecutive seasons. 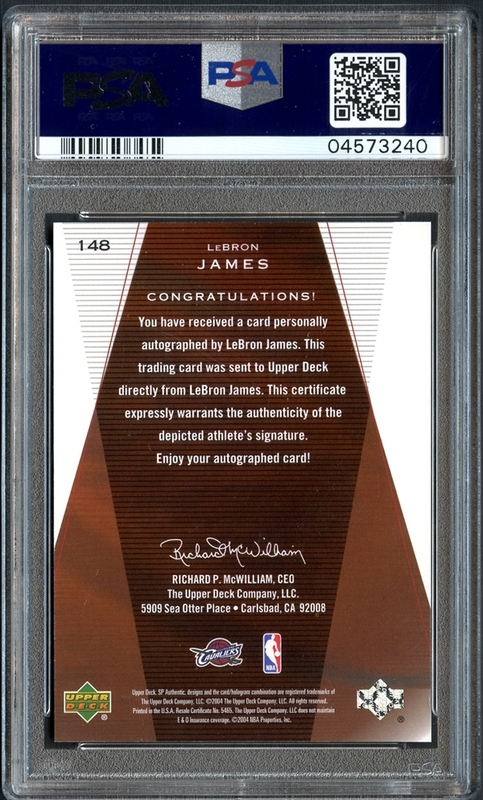 While there are many LeBron James rookie cards out there from various trading card companies, the SP Authentic is widely recognized as perhaps the most coveted of all, and the autographed issue, limited to 500 total examples, it the absolute pinnacle of all issues. 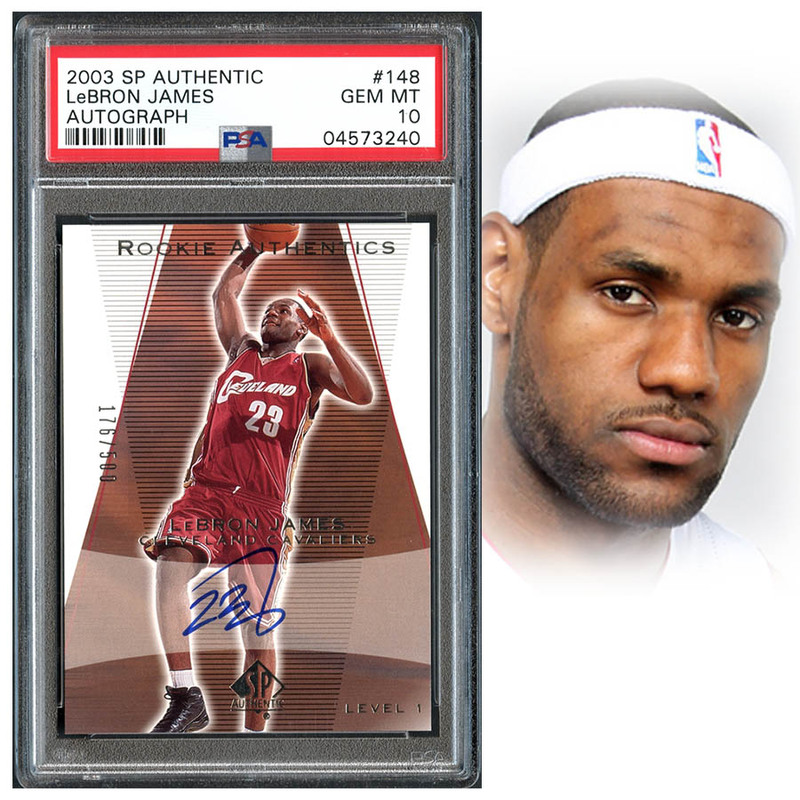 The perfect card of the greatest player of his generation and one of the finest in NBA history.